The new and exciting Fortune of the Pharaohs game was recently launched by Rival Gaming and has become extremely popular with players hooked onto online casino gaming websites that are powered by Rival Gaming. As the name suggests, it is an Egyptian-themed slots game. It begins against the intriguing backdrop of the life of the pharaohs in Egypt and the mystery surrounding the Egyptian tombs. Naturally, the game uses popular Egyptian symbols like camels, pyramids, hieroglyphics, Arabs, a frightening mummy, and a scorpion. When this scorpion is hit and players are waiting to be directed to the free spins round, it suddenly grows in size and looks ready to sting. On seeing three scorpions, players will get four free rounds, and on seeing five of them, players can get as many as twenty free spins! All the symbols in this game are equally fascinating and throw up new surprises for the players. The Click Me feature is particularly interesting and players can click on them to gain bonus prizes. The CAIGames.com has come up with as many as a hundred new casino games which players can participate in online. This multitude of online casino games includes Texas hold’em poker, single-deck blackjack, and European roulette. Their ever-expanding clientele is expected to grow even larger with the introduction of so many thrilling games. Every week, players will also be entitled to get promotional offers like Weekend Madness. With its unique combination of both offline and online gifts, this gaming site has made itself a brand to reckon with. It even hopes to expand its sway in other geographical areas provided the legal frameworks permit it to do so. The most recent spectacular twin offerings by Eldorado Palace are the 3D video slots – Rocko Mania and RetroTech. 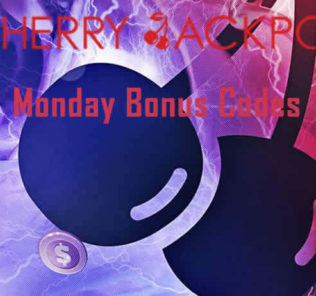 These two are equipped with the latest gaming features, have colossal jackpots, and many bonus rounds that make them all the more popular among game lovers. RetroTech includes many great innovations. This ice-hockey theme game is a five-reel and twenty-five pay-line slots game. It also comes with major and minor jackpots, wilds and scatters, and free spins. The player can accumulate huge prizes by playing this online slot game. To aid tsunami and earthquake victims of Japan, an online slots tournament had been organized by JackpotCity.com. This online gaming site will strive to collect funds for helping the Japanese overcome the ongoing crisis. Participation in this tournament is for free and all the money is going to be given to a certain charity organization working for the affected in Japan. The French government made big casino news by liberalizing its gambling market and opening it to foreign operators. Centering on this topic, there are going to discussions in two conferences by end-March, basically to analyze the effects of such liberalization. Issues likely to be debated upon include procedures enforcement, procedures approval, and online gambling license criteria, etc. The second of these conferences scheduled for March 25th-26th organized by iGaming will have senior gambling officials and media representatives presiding over the conference to discuss French online gambling issues.